When I look up into the night sky, the wonder of it hits me every time. We are seeing a memory of the universe. An echo into time that has past, and yet, it’s now in this moment. Last week, at age 64, after losing herself to Alzheimers disease, my step-mother passed away. She looked tiny and almost childlike in death. If there is one thing that this disease teaches you (especially when you witness it multiple times) it’s that our concept of ageing, time and memory is just a story we tell ourselves. I thought about my three year old, caught up in the midst of a family funeral in the school holidays, the day before his 4th birthday. He was oblivious to what was going on, despite explanations. There was no ending for him. It struck me that right now, his capacity for enduring memories is just unfurling. A powerful and amazing transaction is taking place in his brain, giving him a sense of past and future time, just as his nannas sense of time and space was unravelling. He tries to express time, and it’s amusing, “last week, when I was a baby”, “I’ve been waiting for years for a drink”. 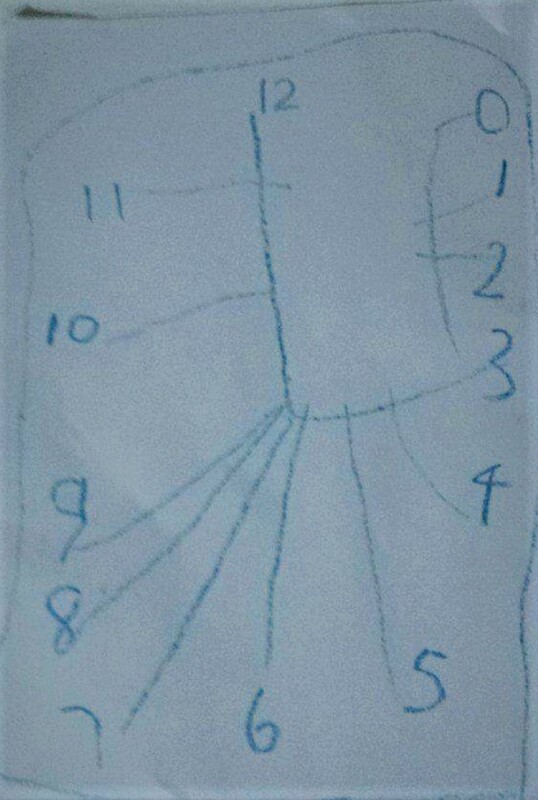 At 4, the foundations of long term memory are laid, memories and making impressions which might endure for life. So the day before his scrambled last minute small birthday gathering, yesterday’s funeral still swimming in my mind, a spark of an idea formed. In future years I doubt he will remember his presents. All he really needed was something to remember. Something to imagine. A journey. Something to lead his mind forward into the future. 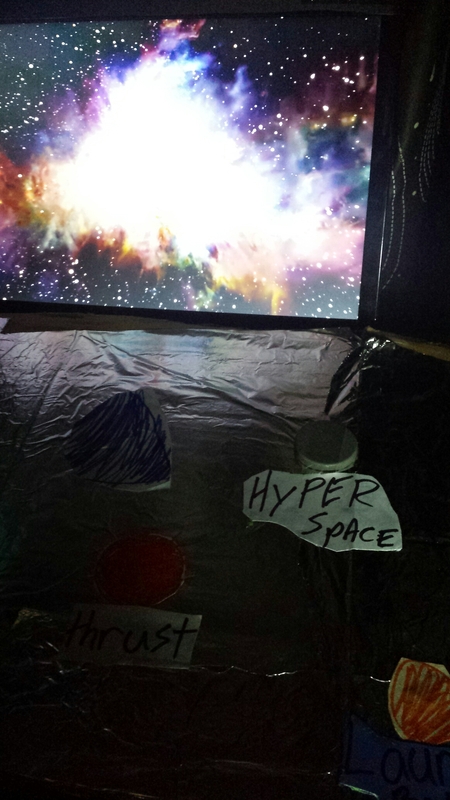 How to make a space dome from a beach tent! 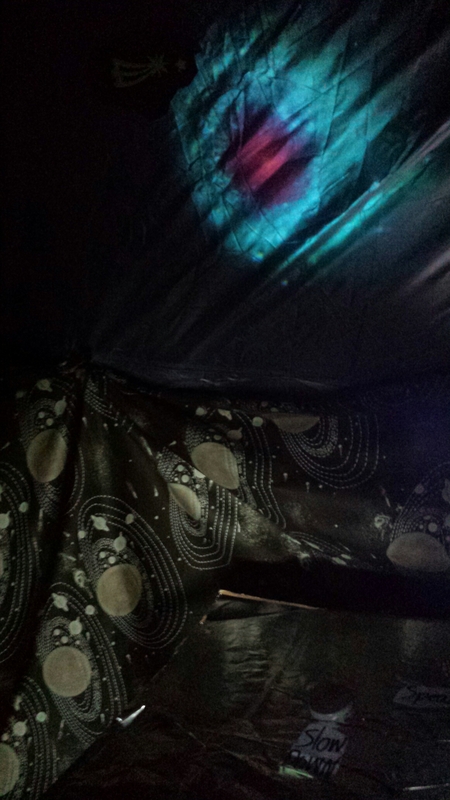 We made a space dome in the dark of the garage, and it was for kids and grown ups. 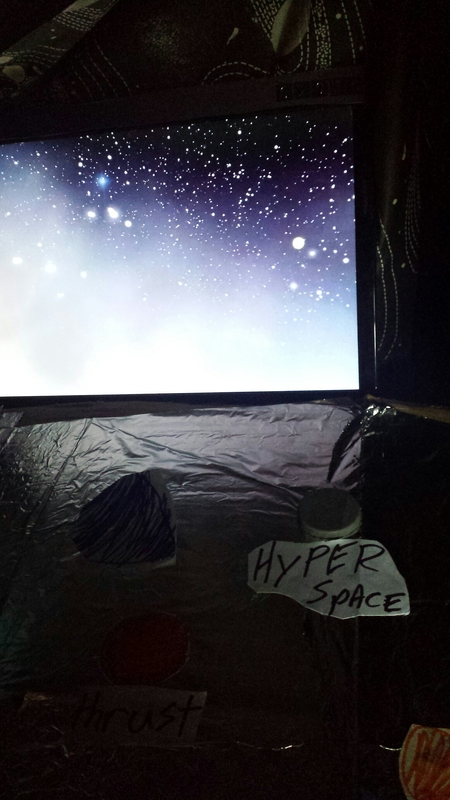 Opening the garage door, following the dark tunnel to a disguised beach tent covered in thick blankets, you crawled into a dark tent, to see a laptop playing a youtube clip of Hubble Space telescope images set to ambient music. But in that moment, if you allowed it, it was ‘The Meteor’ – a space shuttle – and you were at the helm and you were flying through the wonder of space. With his 7 year old sister, a hasty control panel had been made for ‘The Meteor’ with all the important buttons (hyperspace, reverse thrust etc..). 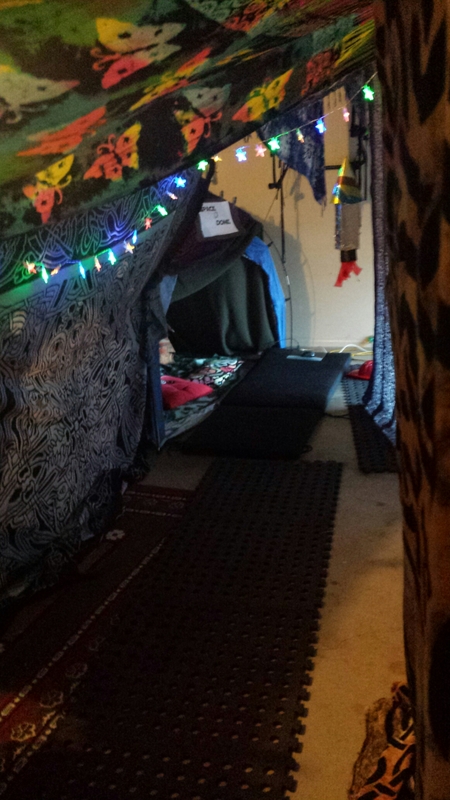 My husband added the blanket tunnel which really made the whole space dome experience feel boarding a craft for an epic journey. 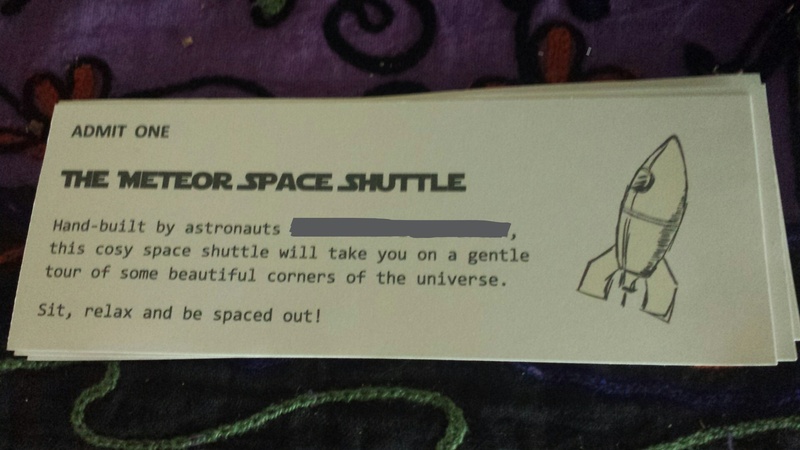 My daughter appeared dressed as an astronaut mid-way through the small party of kids and grown ups, distributing tickets. My favourite thing was watching the faces of four year old and grown ups as they entered the garage. Curiosity and wonder. Illuminated only by a dim spinning disco ball and seeing kids and adults alike smiling with amused, wonderous glistening eyes as they entered the unexpected journey to the stars. Huddled in the dark together, flying through space, simple wonder is easily conjured in us all. 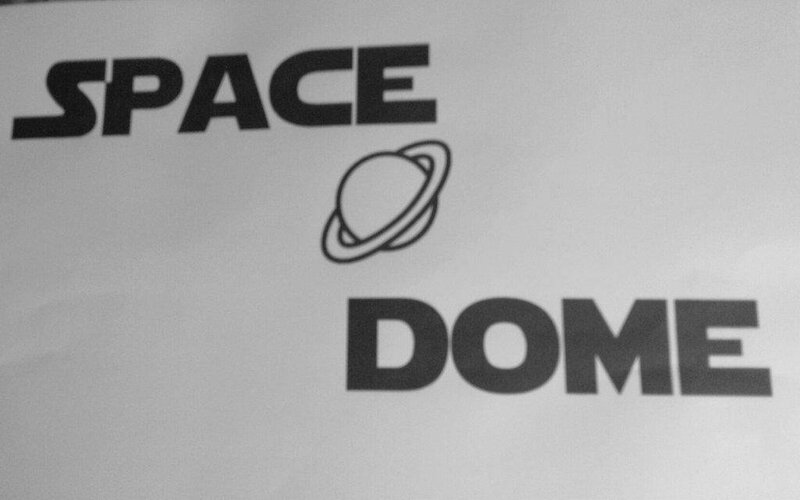 I wonder if the space dome would have existed if not for the sadness of death this week. What comforts me is that, is that even death, always measured voluminously by tears, we can also perhaps think to measure its capacity to grow something. To make us cherish moments, memory and childlike wonder. 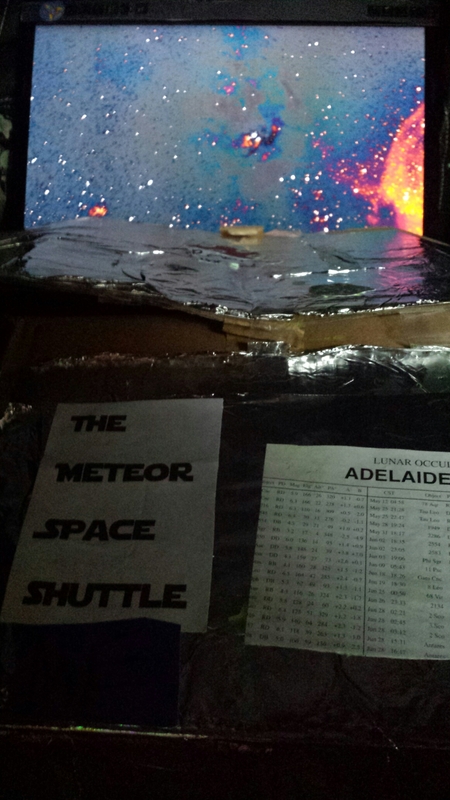 If you are inspired to make your own space dome simulator, using simple materials that you already have, I would love to see what you have done so that The Meteor 2.0 can be improved in future years!